Ladbrokes is one of Britain’s largest bookmakers. Since its inception in 1902, its grown from providing odds on horses to an international betting operation. 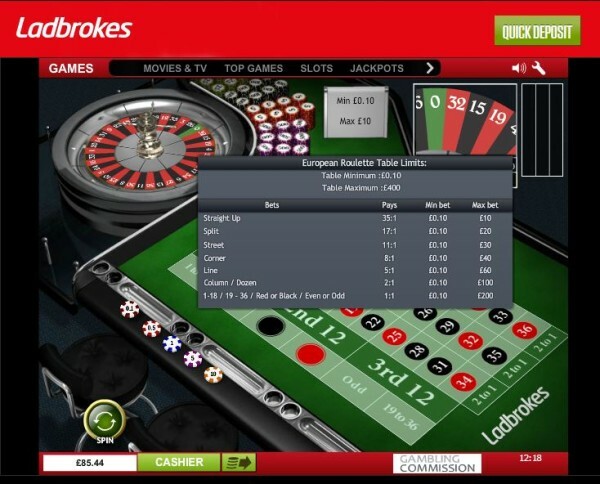 In 2000 Ladbrokes went online and now offers a variety of betting and gaming options. You can play roulette in all Ladbrokes betting shops. The fixed odds betting terminals offer a variety of games but as roulette is so popular the machines are simply roulette machines rather than FOBTs. Minimum bets are 20p in the shops. 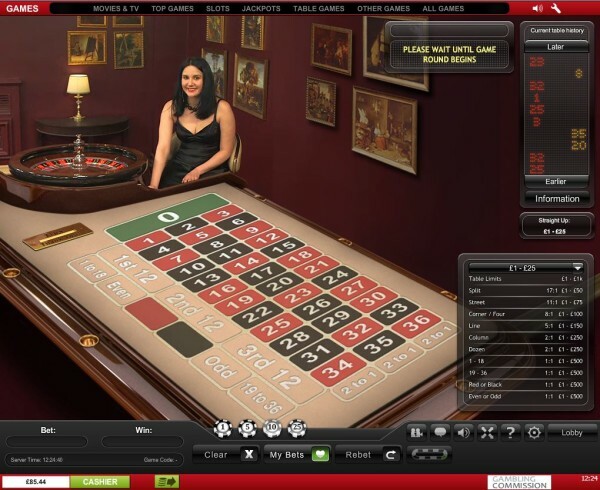 Online the roulette tables start from just 10p. 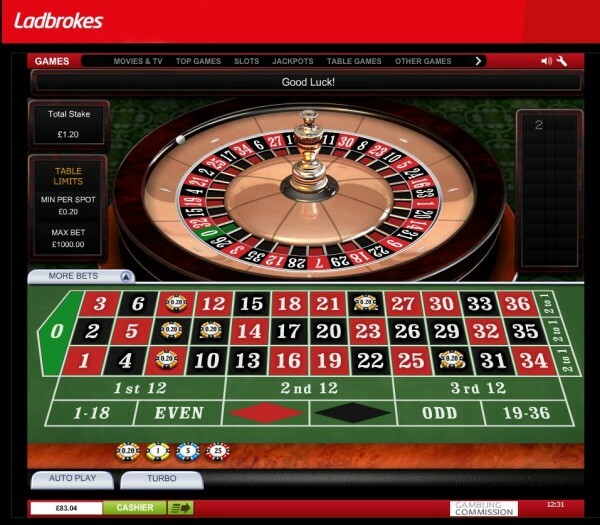 Ladbrokes casino is one of the best online. Powered by Playtech it boasts a large number of games. They have a the casino classics such as blackjack and craps as well as everyone’s favourite, Roulette. They have others such as 3d roulette and multiplayer but they are the main ones. Much better choice than at the betting shop. Stakes on the European Roulette start from 10p. Maximum bet is £200. Not the highest of limits but they have higher limit tables for the high roller. Live roulette at Ladbokes have different limits. On the low limit tables, the minimum bet is £1 and maximum £500. The higher limit tables aren’t much higher though, you can bet a minimum of £5 and maximum of £800. On top of this there is a live option where you get to see a croupier spin a wheel and the outcome determined by a physical process rather than a random number generator (RNG). Ladbrokes offer a generous sign up bonus of £500 with a low turn over requirement for cash out. They also have a loyalty and VIP programme which rewards regular players with cash and days out.